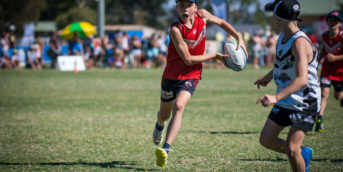 New South Wales Touch Football is currently reviewing the General Conditions of Entry for their representative events for the upcoming 2019-2020 representative season. 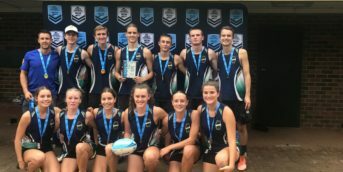 NSW Touch Football conducts a number of events throughout the year. These are the Junior State Cup Northern Conference, Junior State Cup Southern Conference, Junior State Cup-State Final, Junior Regionals, Vawdon Cup, Country Championships and State Cup. This document will be the basis of the Event Regulations for regional, affiliate and like events that require endorsement from the organisation. These events are the prime vehicle in the Talent Identification and Selection processes for NSW Representative Teams at all levels. The first stage of this process (Stakeholder Feedback) is providing the opportunity for all Affiliates, regions and stakeholders to review the existing Conditions of Entry and provide comment, adjustment and or solutions in all elements of the document. The opportunity to provide feedback will conclude by close of business on Friday 29th March. The feedback in this phase of the process will need to be collated by the relevant entities (Affiliate/Region) Representative Coordinator and submitted to daniel.rushworth@nswtouch.com.au via the above timeline. Should you have any questions please here please contact Sport Manager Daniel Rushworth via daniel.rushworth@nswtouch.com.au or +612 9558 9333.